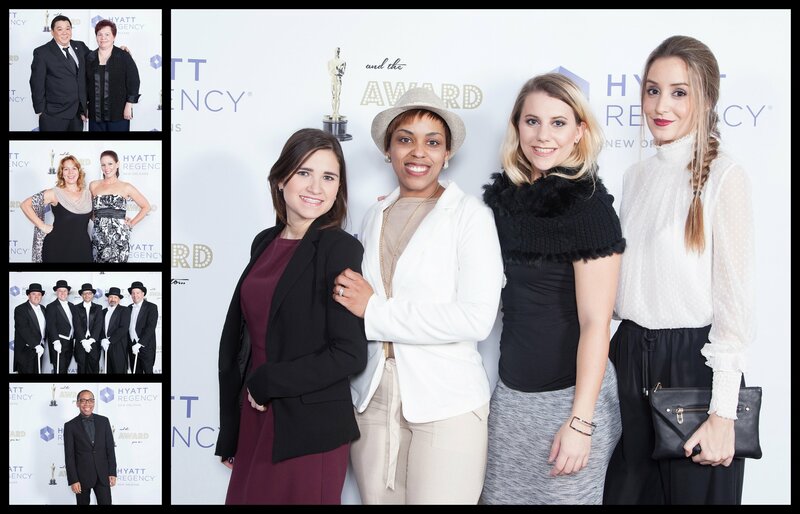 Posts with tag: "Step and Repeat"
We had a great time working with the Hyatt Regency New Orleans for the second time this year for their annual Champion Awards. What an amazing team they have...and from working with them, I can see that it starts with the leadership. Every January, they have an amazing event at the hotel that rewards employees with exemplary performance from the previous year. The evening of the awards starts with us providing the event photography as employees arrive. We take their photos at the Hyatt Step and Repeat background. Our photographers also took the photos before and during the awards presentation. And after the presentation, the party truly begins with amazing food and music. And, of course, our Mobile Memories Photo Booth was there to provide fun as well. They chose to use our black sequin backdrop for the photo booth. 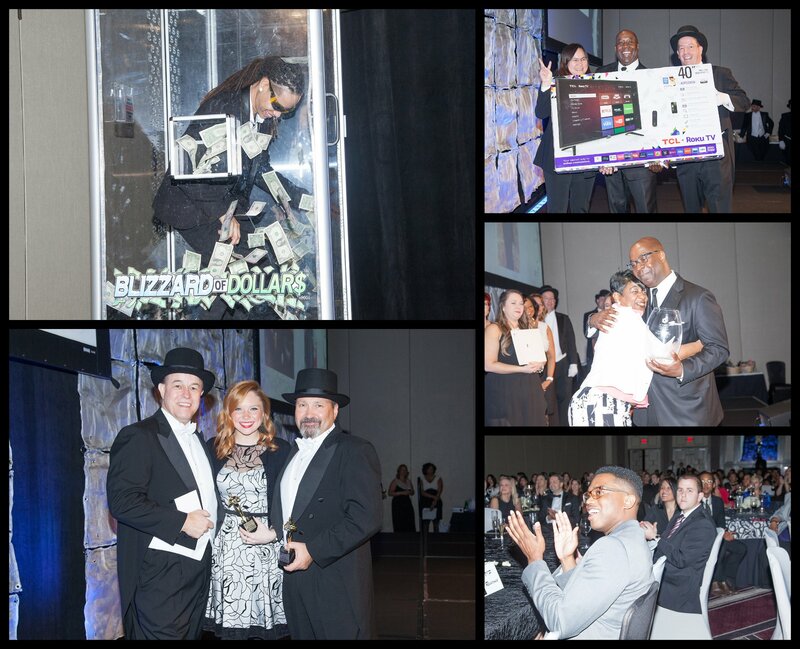 Congratulations to all of the employees who took home awards! 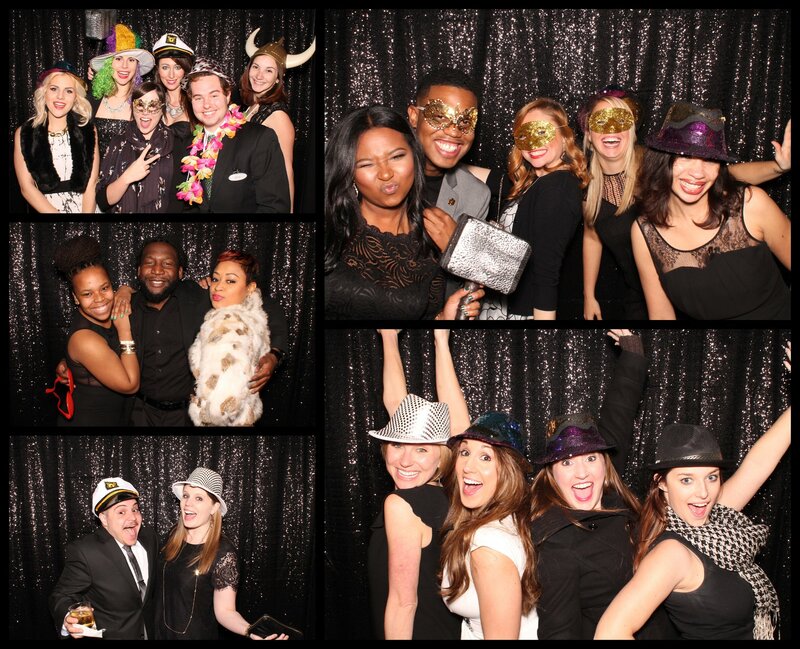 Here are just a few of the many images that we took as well as some from inside the photo booth. So now you know...in addition to working wtih our amazing brides and grooms, we also provide photo booths at events, conventions, parties, school reunions, races, etc...the sky is the limit! If you have an upcoming event and you are interested in one of our photo booths, event photography, or both, please feel free to contact us. And you can see more information about what we offer for businesses here. We service the entire greater New Orleans area as well as Slidell, Mandeville, Covington and parts of Mississippi. I look forward to hearing from you!